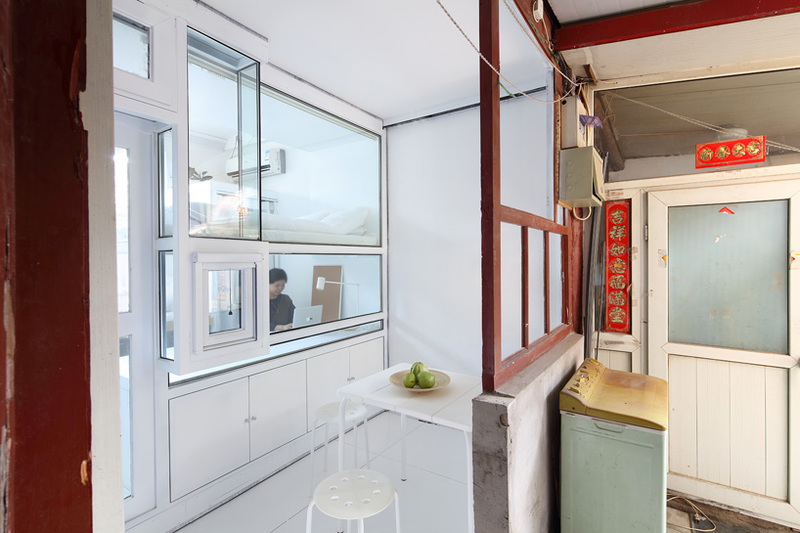 Tucked into an historic winding Hutong of Beijing, this work of convertible architecture featuring a modular moving wall to make maximum use of flexible interior and exterior space on demand. 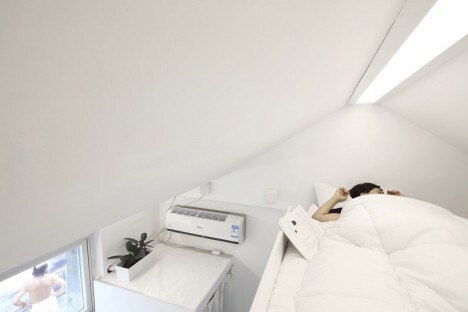 The so-called Humble Hostel by Chinese architect Cao Pu is a tiny 130-square-foot apartment with beds that can be rented out for just $20 a night. 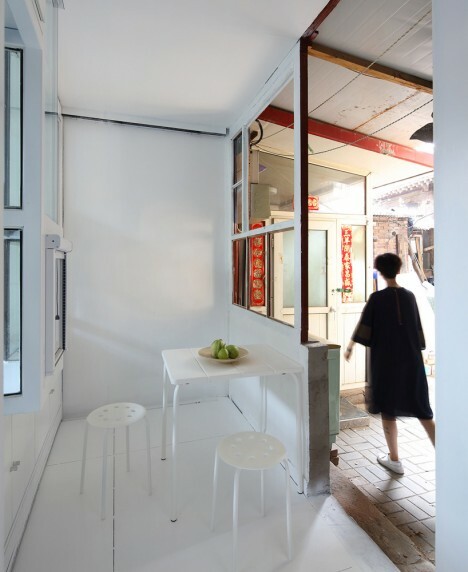 Its novel modular nature is a reflection of complex courtyard politics of these intertwined neighborhoods. 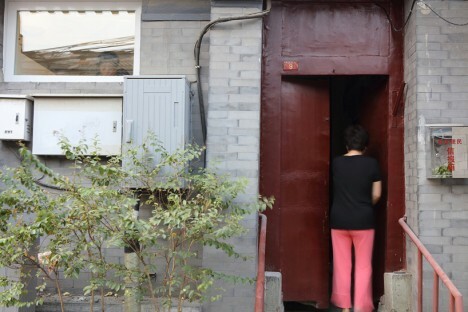 Meanwhile, over the centuries in China the lines have become blurred regarding ownership of communal open pedestrian space shared by the aged dwellings that surround them, attached organically over time to branching streets, paths and alleys. 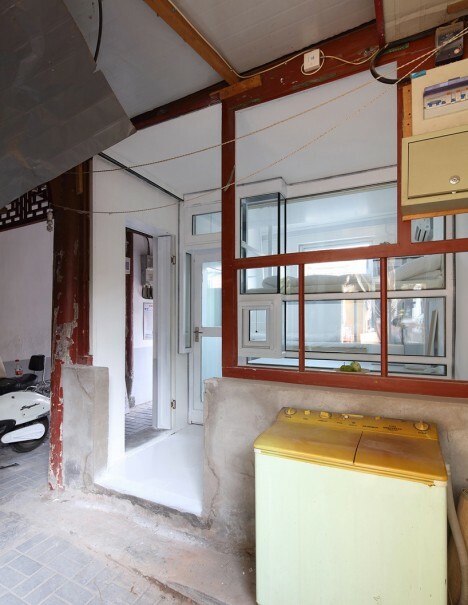 In pulling back the facade of the structure, the design effectively gives space back for public use when the interior volume is not needed, creating space for seating and socializing in otherwise cramped quarters. The resulting roofed patio can host card games, a tea table, pop-up shop or temporary bar. 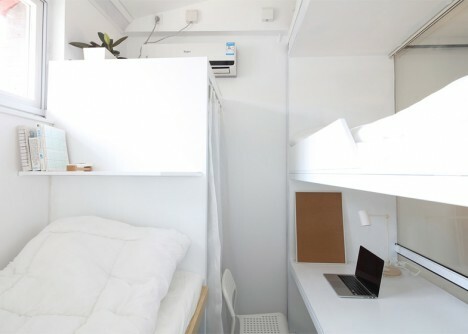 This prototype could herald potential applications in all kinds of close-proximity housing situations involving small-space dwellings. Future buildings might include this technology from the ground up, reshaping the way we think about architectural flexibility.